Single sided green PET , polyester, mylar tapes with silicone based adhesive for masking, taping, transfering and laboratory applications. If used as temporary tape or transfer tape, only apply minimal pressure. 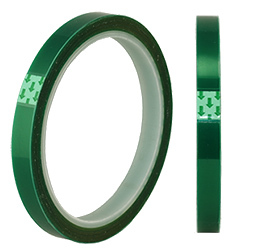 The green PET lab tape is an economical alternative for Kapton tape in less demanding applications and when temperatures are lower than 200°C. With the thicker film and the lower adhesion properties of the silicone based adhesive, the tape is easy to remove and leaves clean surfaces. 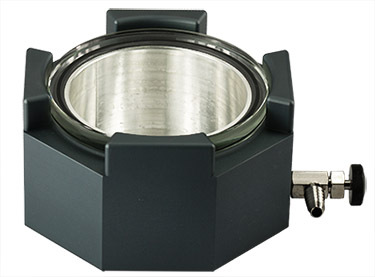 Available in widths from 6 to 50mm with a length of 20m. Clean 76mm diameter plastic core.